Writing plot is like making a bomb. Now my blog's on the watchlist (more readers! ), consider how that metaphor holds up and what can be done with plots to optimise their effect. The scope of impact desired will inform what kind of situational explosive is used. Just a loud noise or do you need to bring a character's life crashing in flaming debris around them? The latter requires more explosive, maybe incendiaries or excellent placement (say next to the petrol tank) so design the plot according to result. Doing something that will only faintly annoy a character and hoping for devastation is foolish. Equally it's possible to pack so much explosive that the situation simply will not work. This is also informed by your desired result and the resources available. Delivery ranges from lobbing the plot like a grenade and hoping the character stays still long enough to sophisticated methods involving incentives, camouflage or luring them into a situation where they're close to explosive things (like the petrol tank example previously) so that the impact is multiplied. Smart guidance imply flexibility and intelligence in delivery, does the situation allow for that level of control? If not, then positioning is crucial otherwise you need to think of a different approach like the bouncing bomb. If the plot isn't resolved when time's up, Thing(s) Will Happen. It's very rare for a plot to exist independently of time. Fuses may be shortened, lengthened or deactivated. 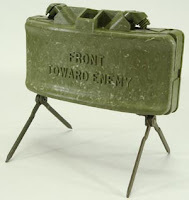 There is also the possibility of booby-traps to deter attempts to defuse. The fuse may be primed by a simple action (e.g. finding Mr. Claymore's tripwire) or primed in anticipation of character presence. There are situations where the plot just won't work. This may be due to the fuse not being primed or a failure to activate when events demand it. In some cases, the plot may re-activate if interfered with. You also have the option of using the same plot in a similar situation. A simpler plot can be re-used more often than one that requires complex setup. It's why tropes are popular and still effective even if most know how to defuse them. In some cases, it's not always possible. Plots need to impact the character for good or ill or why do we care? Ambivalent plot events offer greater versimilitude. It's rare that something is entirely good or bad even at turning points or the final resolution. If it rewards your audience, then do it. Great analogy and some wonderful tips. I agree with Ken, nice analogy!